Aggieland Storage is a locally owned family business that has been opened since 2007. We proudly serve the town of Bryan, TX and its surrounding areas including College Station, Caldwell, Madisonville, and Navasota. Our storage facility is located at 7701 Wickson Ridge in Bryan, TX, and is accessible 24 hours a day 365 days a year. It is a clean and secure property with a state of art security system. All of our self storage units are accessed only by the renter via a roll up door. Renters must provide their own lock to ensure that their contents are properly secured. Our facility is not liable for theft, so renters should make sure that their home owners insurance covers theft of offsite items. This is not to say our premises are not secure, this is just helping our customers be proactive in securing their valuables. We have a variety of unit sizes available ranging from walk in closet size to a one car garage size. We guarantee that our rates are the lowest in the area. We have month to month contracts available as well as long-term contracts. No matter what your needs are we will work to meet them. If you're in need of our self storage services, please call us now or simply rent your storage unit online. Please feel free to contact us with any questions or concerns that you might have. Are you a student at one of our area colleges? Are you wondering what to do with all your college dorm items? You would probably rather not haul them all the way home for summer vacation only to have to pack them back up and bring them back to school in September. You should consider renting one of our storage units for the summer, making your travels so much easier. files, and equipment? 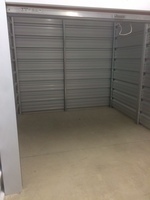 We have storage units in Bryan TX to meet your needs.files, and equipment? 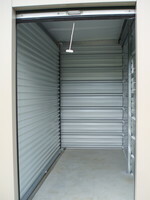 We have storage units in Bryan TX to meet your needs. Our units are available for short-term or long-term rentals. We have the cheapest prices, and that's guaranteed. We can accommodate most types of storage needs, including storing a boat, RV, motorcycle, ATV, antique car, and all household or commercial items. Fits: Chest of Drawers, Boxes, & Small Items. It fits a dresser, a small mattress set, and several small to medium-sized boxes. This space is also perfect for garden tools, seasonal décor and sports equipment. Fits: Efficiency Apartment or Typical Office. It fits furnishings of a mid-sized bedroom, including a queen-sized bed, a dresser, a TV and several small to medium-sized boxes. Fits: 1-2 Bedroom Apartment, Plus. It fits the contents of an entire family room or two full bedrooms, including several small to medium-sized boxes. Fits 1-2 Bedroom Apartment, Plus. It fits the contents of an entire family room or two full bedrooms, including several small to medium-sized boxes. Fits: 2 Bedroom Apartment, Plus. It fits the contents of three full bedrooms and larger items such as a piano, couches, tables, or large-screen TVs, plus several medium to large-sized boxes. Fits: 2-3 Bedroom House, Plus. It fits the contents of a multi-bedroom house, including several oversized items like a couch, a refrigerator, a washer/dryer and a dining room set or several large boxes. Great for storing trailers, RVs, campers, and boats. *NOTE this is on-site grass/dirt parking only.